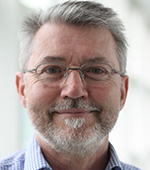 Chris Hunt has over 20 years’ experience in the field of electronics interconnection at the National Physical Laboratory. There he led a team of 10 scientists, and has a PhD in material science. He is the chair of IEC TC91 dealing with a range of standards covering assembly and packaging issues. He has now formed his own company, Ceitex, and is consulting over a wide range of issues, from wearables to high temperature electronics.